Don’t forget it’s Mother’s Day this coming Sunday. There’s still time to order something on-line and, with spring just around the corner, why not go for a gift that captures birds singing and bees buzzing. We’ve got six seasonal suggestions to suit everyone’s pocket and tastes. 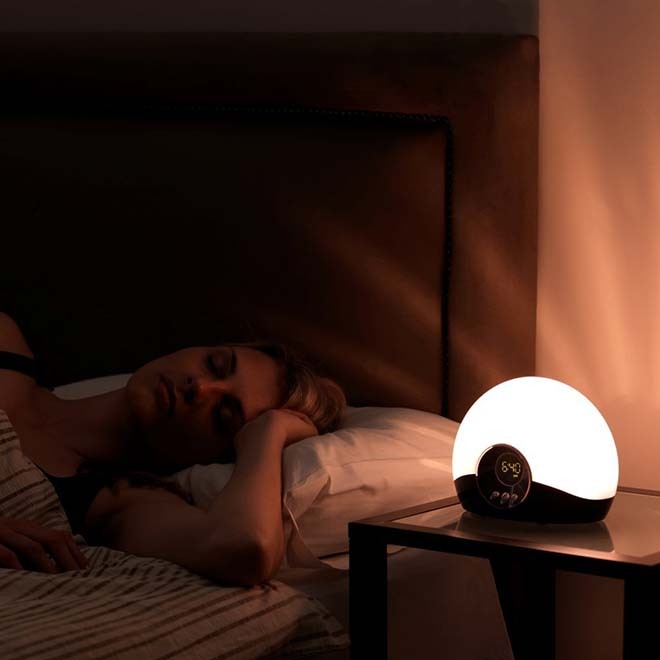 Lumie Bodyclock is the original wake-up light, also known as a dawn simulator. It wakes you up using natural light, which gradually grows stronger over a given period of time. This lets your body know that it needs to cut back on sleep hormones and start producing hormones to get you going for the day ahead. 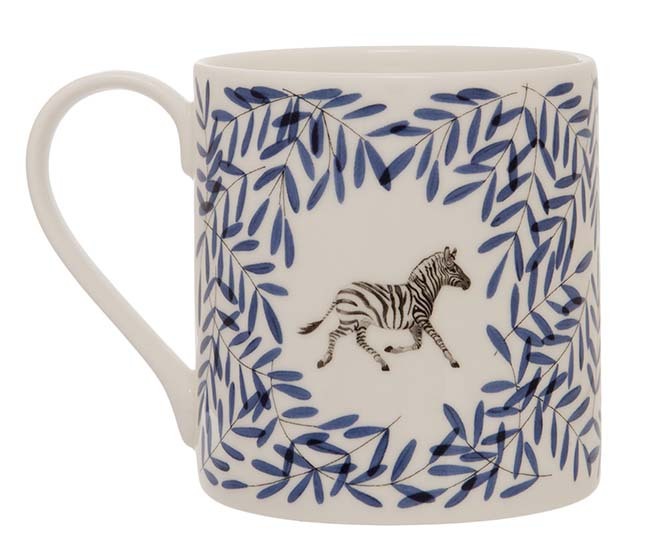 You can never have too many mugs, especially when they’re as pretty as this zebra mug. Inspired by a visit to Edinburgh’s Botanical Gardens, the Benmore Ash Collection features two British animals surrounded by ash leaves and two African animals. The mugs costs £14.50 each from www.hollylasseterdesigns.co.uk and there are matching notebooks too. We were very impressed with this Mother’s Day bouquet. 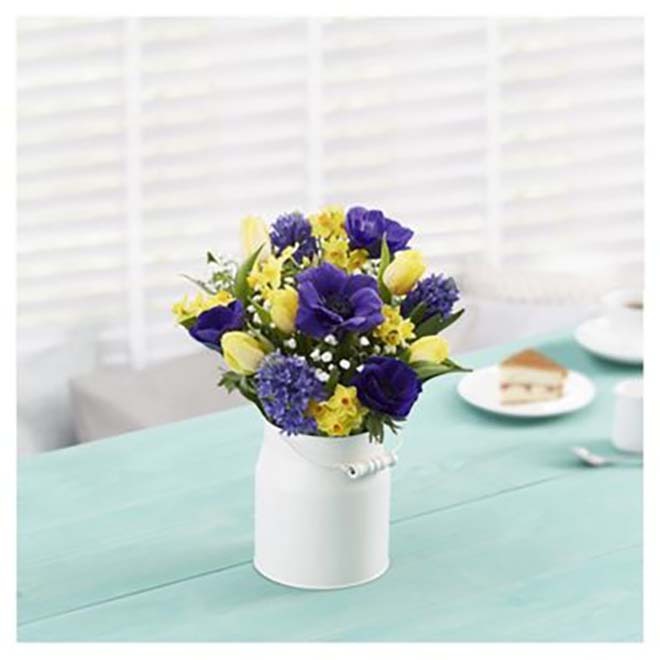 A delightful blue and yellow posy featuring seasonal colours and comprising yellow tulips, daffodils, blue anemones and hyacinths highlighted by sala and gypsophilia. This hand-tied bunch comes complete with a cream ‘milk churn’ and not only looks good, but fills the house with a wonderful fragrance too. 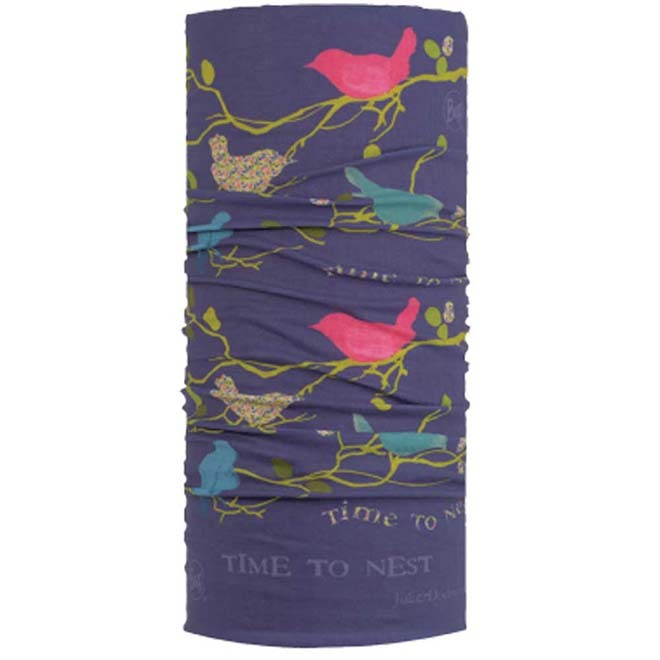 A new range of designs are the collaboration between original multifunctional headwear brand BUFF® and British artisan designer Julie Dodsworth. Inspired by her days spent living on her narrowboat ‘Calamity Jane’, Dodsworth has created four unique Original BUFF® designs. Beefayre wellbeing products are handmade in England and use the very highest quality natural ingredients, free from any petroleum by-products. 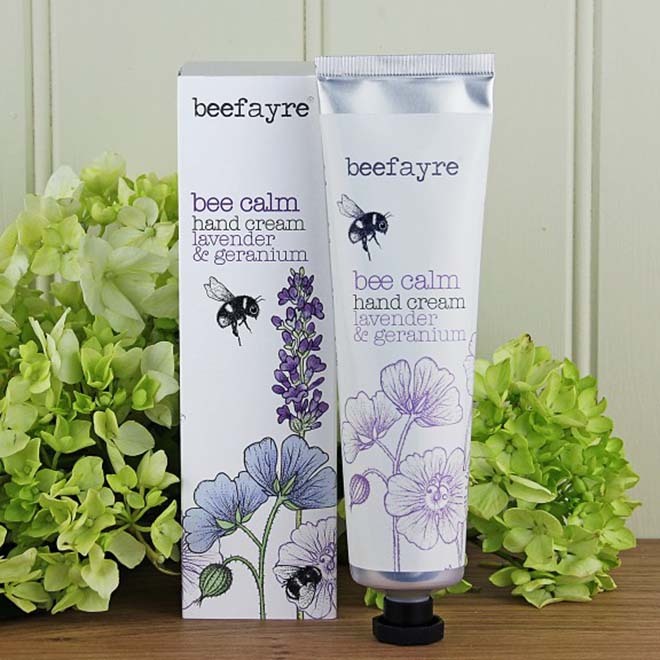 This Bee Calm hand cream is deeply nourishing and hydrating made, as it is, with cocoa and shea butter plus vitamin E. It’s gently fragranced with essential oils of lavender & geranium and comes in a perfect handbag size, 100g tube. Available from Beefayre.com for £12.95. SkinYoga is a 100% natural and vegan-friendly skincare brand, which creates products inspired by ancient times but adapted suit to our modern lifestyle. Every ingredient in the SkinYoga range comes from a renewable source and is without a hint of toxic nasties. The products are presented as a dry powder, which means that the ingredients are at their most potent when activated for use, simply by mixing them with water. 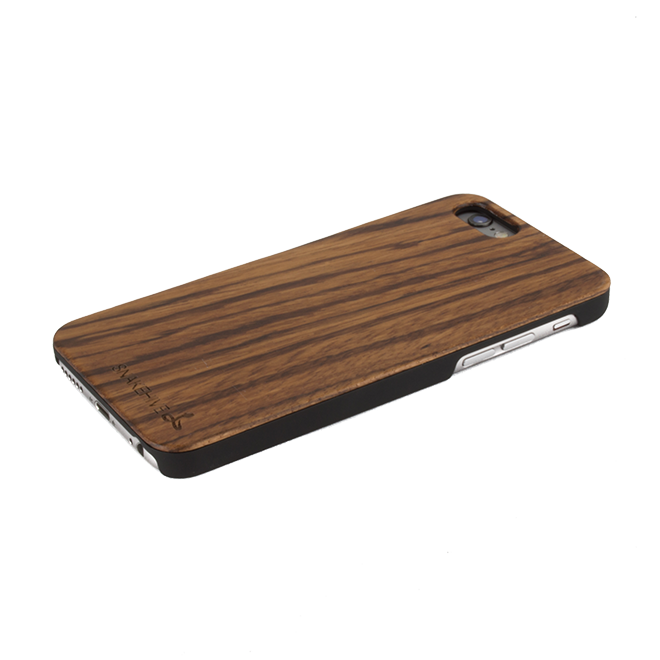 Like the discipline of yoga, the products are designed to reflect the principles of harmony, balance and to be in synergy with nature.